Here’s a simple card! I’m sure you can see for yourself how it is made. 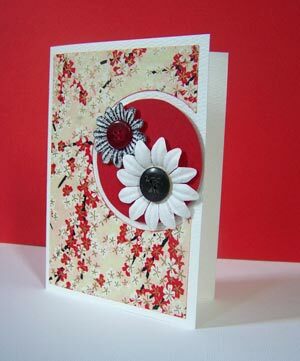 Cut a circle out of a paper rectangle, and a smaller circle from another paper or card to fill the space. Decorate. Enjoy. I didn’t have any red flowers so I inked a white one so I could put two different ones on there.